Simple appearance on paper (the screen! 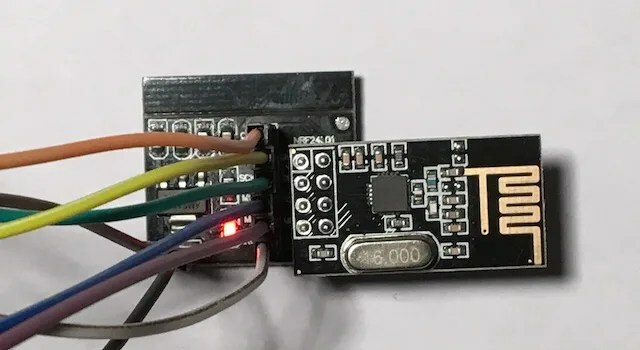 ), the realization of an object connected with nRF24L01 radio module can quickly be complicated to the point if we want to pass data long distance (several tens of meter, see hundreds). After spending many hours testing different materials to find the right settings, I propose this article that summarizes a few tips for a successful project MySensors-nRF24L01 based. Warning. This article for no claims to meet all configurations. All advice given in this article are from empirical tests carried out with cheap materials from Asia accessible by everyone. The results can vary from one material to another, even if he is from the same manufacturer. The tutorial for been written with the version 2.0 of the MySensors library, but it should also work with earlier versions (1.4, 1.5…). Which nRF24L01+ radio module to choose ? 2 Which module nRF24L01 to choose? 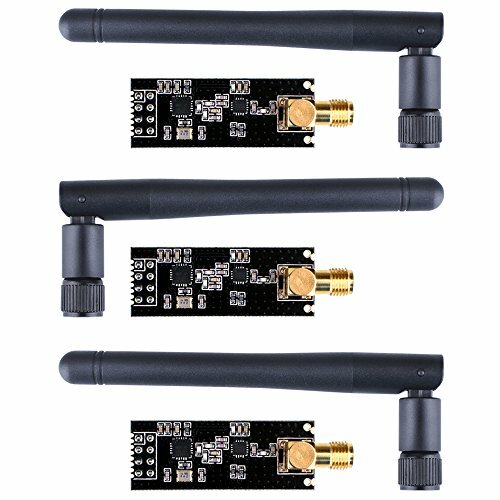 4 Which antenna to choose? 6.1 Can you mix short antennae and long distances? 6.2 Battery operation, choose what power? TSM: RADIO: OK, the connection of the radio module is correct.
! TSM:failure, everything is floor! A bad power supply. NRF24L01 modules must be supplied with 3, 3V. The quality of the controller built into the Arduino Micro clones can be poor. Not only the power supply is unstable but in addition it can be disruptive. In this case, opt for an adapter. Go to the paragraph “use an adapter with regulated power supply. Supply voltage is too low. This happens often for projects on battery. Increase the number of batteries, or use a more powerful LiPo battery. ‘Use an adapter with regulated power supply’ and mandatory in this case. MySensors library version 2 is able to assign an identifier when a new node appears. In practice, this mechanism is still problematic. At the moment, the best solution is to continue to assign its own identifiers. Go to the paragraph “Connection problems after the update of a node”. Which module nRF24L01 to choose? Data Acquisition. Little data but a high frequency. Whatever the application, the best is to install a antenna high performance (at least 6dBi) on the gateway to ensure best reception of the data. 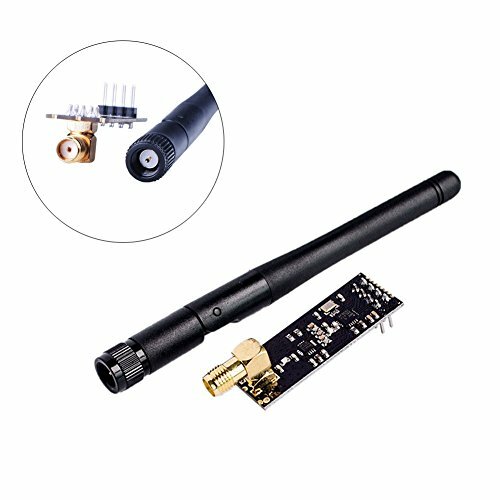 Equipped with a SMA connector, it will replace the 2dBi antenna that team usually cheap Asian modules. Project in interior or short distance (100m in free field). This module has an SMA connector for using an external antenna. In general, the modules are delivered with a 2dBi antenna to reach 1000m in free field (really free!). The slightest vegetable greatly diminishes the signal. If the environment is very difficult, consider buying a 6dBi antenna or 15 dBi. Whatever the radio module employee nRF24L01 (standard or PA + LNA, long distance), it is preferable to use an adapter. Indeed, these modules includes a (step-down) voltage regulator which allows you to supply the radio in stably 3V3 module. The regulator of food is of better quality than those fitted to the Arduino (or Arduino Micro). If the power supply is unstable or creative disruption, the reception or the transmission of data packets can be severely disrupted. Hard to tell if any particular module radio (from Asia) will work. It is unclear by which they are made. Standard modules without external connector nRF24L01 work very well in general. These are rather the nRF24L01 + PA + LNA (long distance) modules which can be a problem, or the less the more often the antenna that does not give full satisfaction. In this case you can replace it with a higher power antenna. Already obtained excellent results with an antenna 6dBi (in indoor, outdoor, mixed). Change antenna . The quality of the antennas of the cheap modules seems very variable. Replace the antenna can solve the problem. Can you mix short antennae and long distances? YES, it works very well. Use instead an external (of at least 6 dBi) antenna for the gateway. Battery operation, choose what power? Depends on the used Arduino. If it runs from 3.3V, you can use 2 or 3 batteries AA (or AAA). In this case please use an adapter to not to exceed 3.3V and get a power supply. If the power is too low, you will have cuts of transmission or message! Dreaded TSM:failure! In this case choose a more powerful LiPo battery for example.